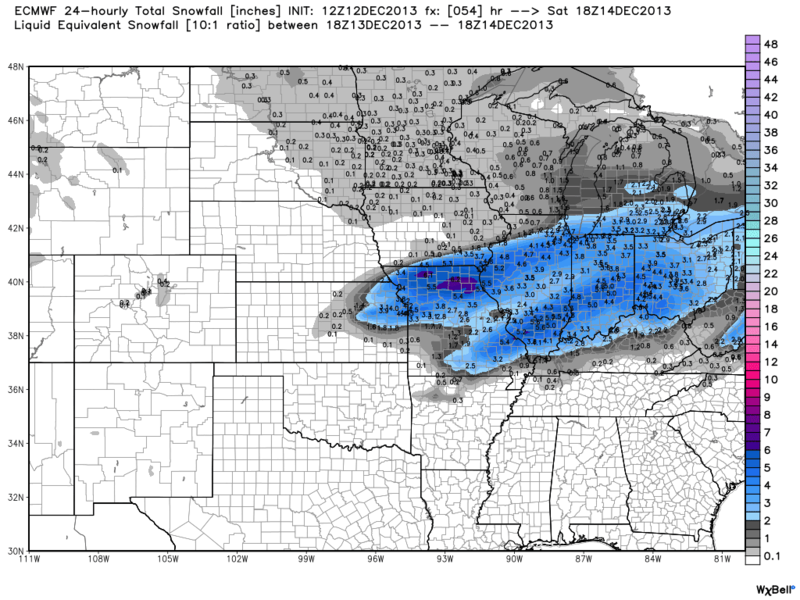 A quick moving system will be passing through the Midwest Friday and Saturday. 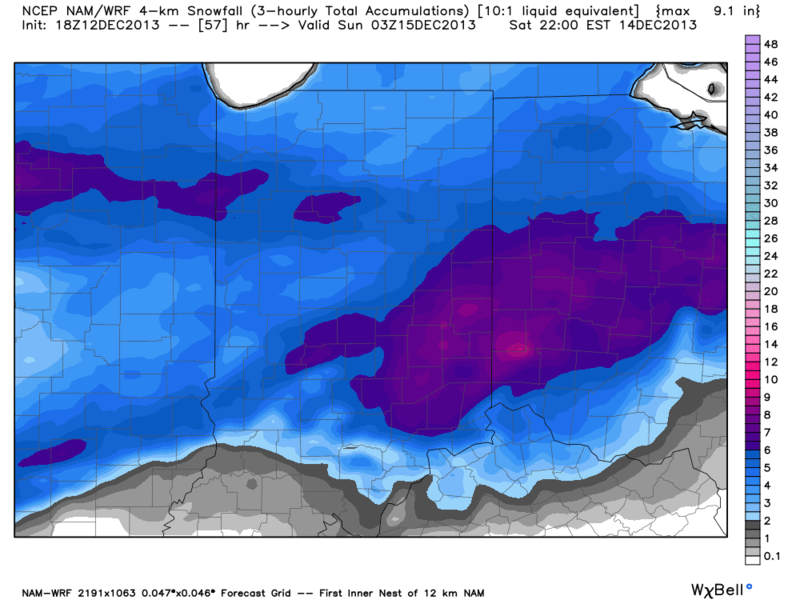 Computer models are still a little spread regarding how much snow and where. 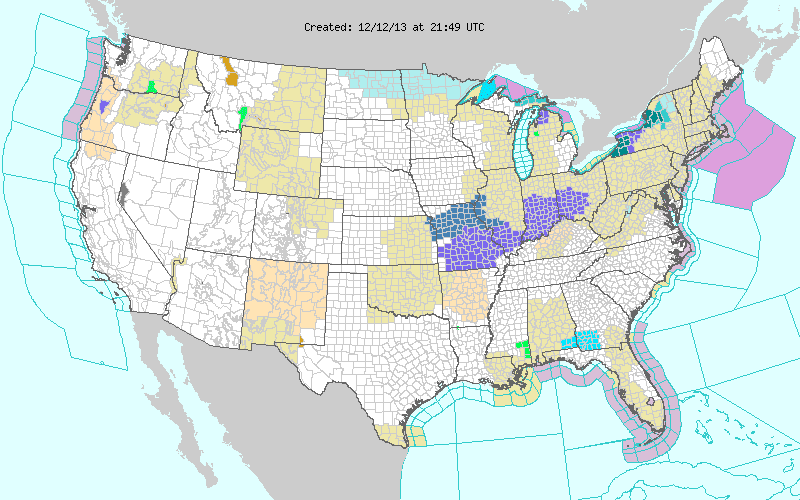 National Weather Service offices have issued Winter Storm Watches and Winter Weather Advisories for parts of Kansas, Missouri, Illinois and Indiana. Let me show you a couple computer model suggested snowfall totals and then I'll tell you how much I'm currently thinking. 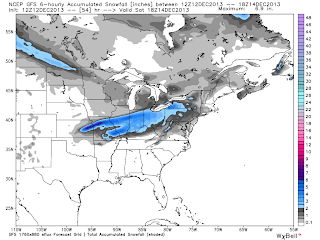 European forecast agency's computer model. 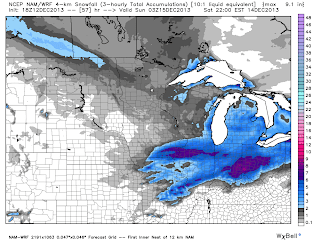 ECMWF Snow Accumulation through 12pm CT Saturday. 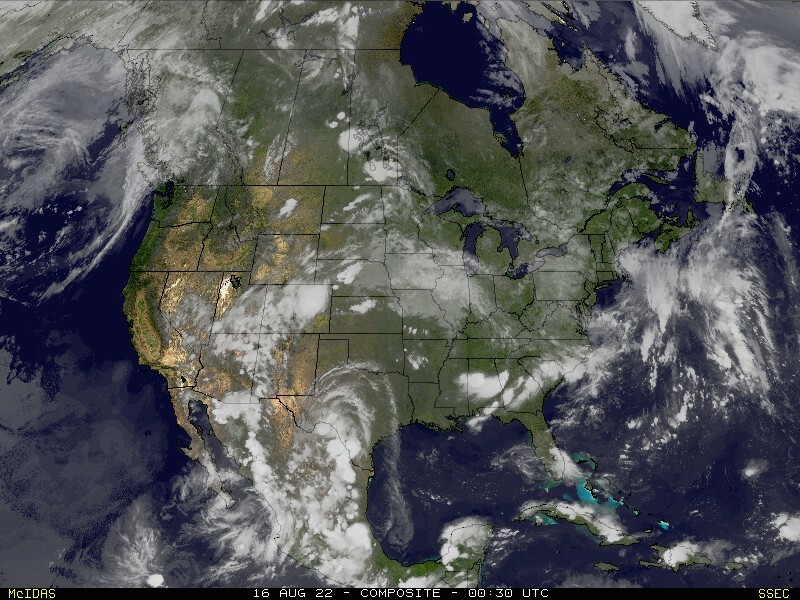 National Weather Service's global forecast model. GFS Snow Accumulation through 12pm CT Saturday. NAM Snow Accumulation through 9pm CT Saturday. 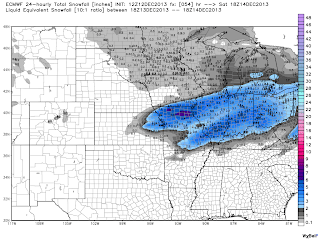 NAM Snow Accumulation through 12pm CT Saturday. 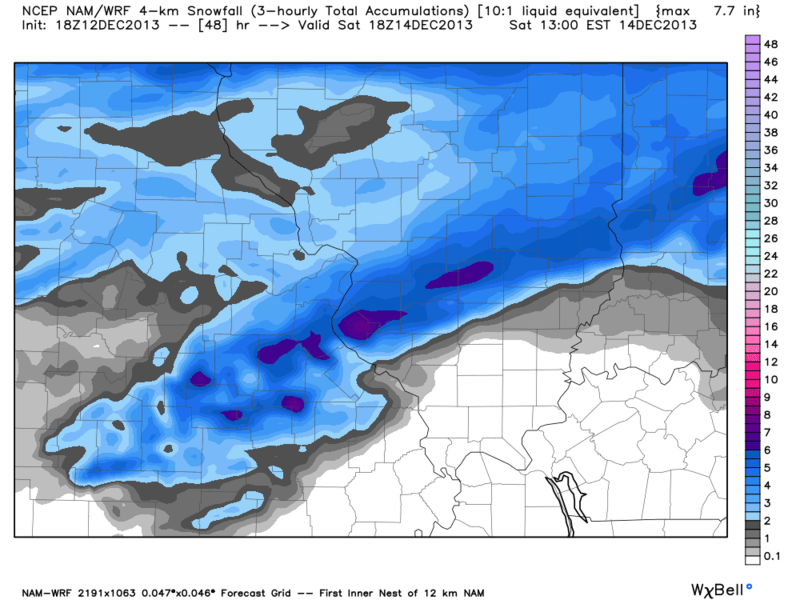 It is interesting to note that all three of the above models try to move snow around the St. Louis metro area. The system will start to spread moisture north starting Friday afternoon. 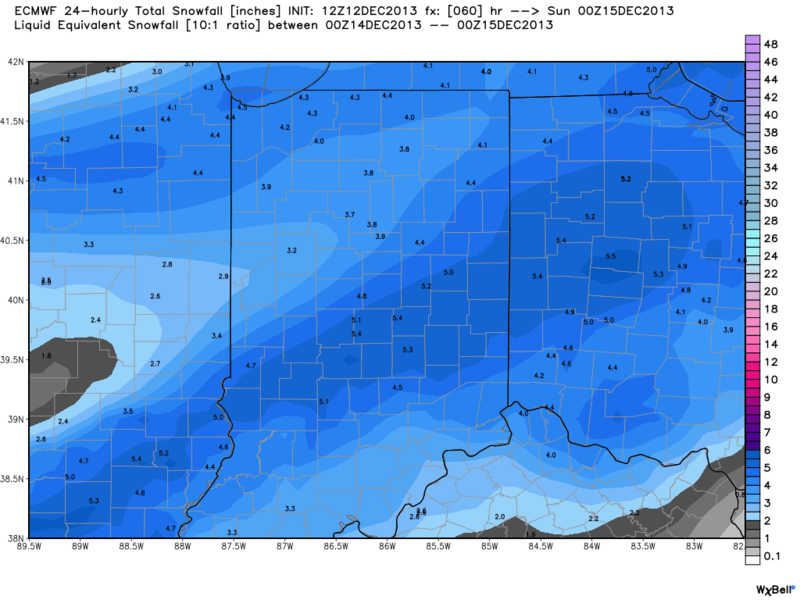 I think most of the snow will come down as a wet, slushy snow. The slushy snow will have a big impact on snow accumulation. 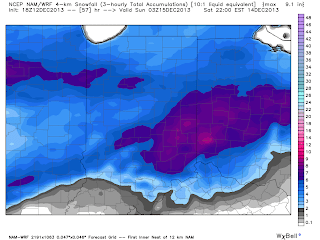 If temperatures end up being 2° to 3° colder than computer models are projecting, we could easily add another 1"-3" on to the totals shown below. 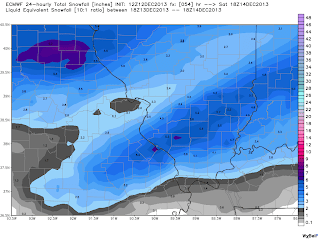 It should come to an end from early Saturday morning in Kansas City, late morning in St. Louis and Saturday afternoon in central Indiana.